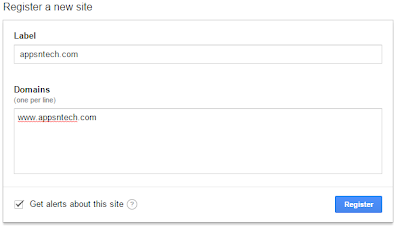 How to install Magento Step by Step in WAMP server? My last article was “Google No Captcha reCAPTCHA”. . Magento is another most advance open source ecommerce platform. Its modular structure, flexibility and robustness made it very well known in PHP world. If you are beginner and wondering “How to install and configure Magento” then this article I will show you simple steps how to install Magento v1.9 into WAMP server. 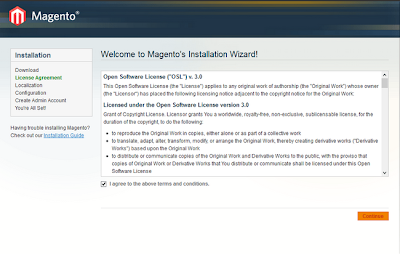 Go to Magento website (http://www.magentocommerce.com/download) and download the magento community edition as your choiceble format. I have downloaded zip format. Extract the zip file and paste it inside your www root directory. We will rename folder to magento as below screenshot. Go to phpmyadmin and create a database called “magento”. This is where all magento tables will generate. Before next step make sure curl extension enabled and max_execution_time increased in your php.ini file. Open your browser and enter http://localhost/magento/ will display below page, agree terms and condition and click continue. Next screen you will find Localization, you can keep as it is or change it later on from the admin panel. Click continue and you will be landed on configuration screen where you are required to give your database connection details as screen below. 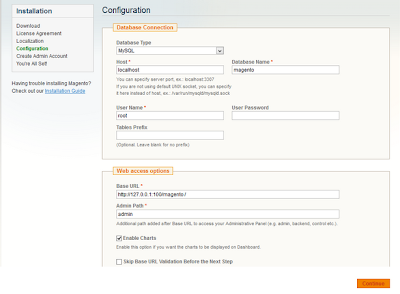 In my case I have configured database name as magento, username root and no password. Once you filled click continue to proceed next. Next screen you may create admin account. That’s it. We are done with the configuration. You will find two button end of the page called “frontend” and “backend” as screen below. Save the encryption key in safe place. You have successfully installed magento in WAMP server. You can click visit frontend by clicking frontend button and admin panel to manage store. Hope you found this article helpful. I will continue the magento series in my next posts. Upcoming tutorial you will find “How to do magento theme customization?”, “How to create custom module in Magento?” etc. Don't forget to like, share, or leave your comments below. Stay tuned! Keep visiting for upcoming posts. Have a nice day. My last article was “Facebook style profile photo upload + Thumbnail Image + Saving into database”. Bored looking at old Captcha test? Google introduced latest security update “No CAPTCHA reCAPTCHA API” to protect your website from spam, robots and abuse. It is a complete redesign of Captcha system by Google. They made Captcha system very clear, easy to use. Simple checkbox to confirm they are human or not. Its sound very simple, but it is not, Google does all the magic behind the hood that makes this system more secure and reliable. Impressive! I have implemented new API class with simple registration form using PHP and HTML. I would like to share with you all step by step. You can have a look at the demo page, also can download the API class from below. 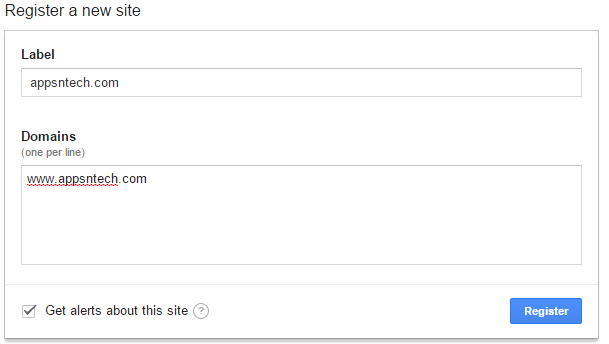 Step 2: Register your website domain to generate reCAPTCHA secret key as below. Step 3: Click register to get reCAPTCHA secret key and site key. Store and keep it safe. i. Use Site key in html code where you want reCAPTCHA should appear. ii. 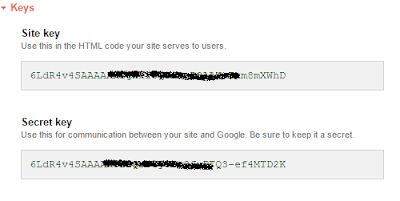 Google Secret key to communicate with Google API service. Keep it safe place. Step 4: Create a new page called index.php copy and paste below html code into it. Step 5: Create a PHP file called /lib/ReCaptcha.php paste below code where we will validate reCAPTCHA via Google API and receive response. 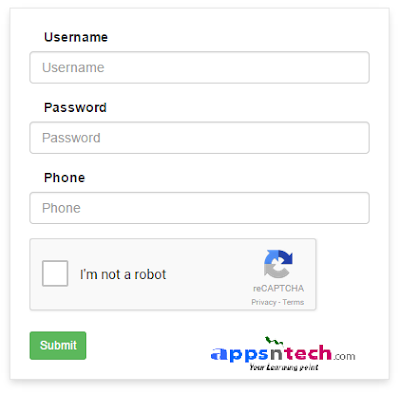 Step 6: Create a file called ActionController.php via which we will interact with ReCaptcha API. Paste below code into it. 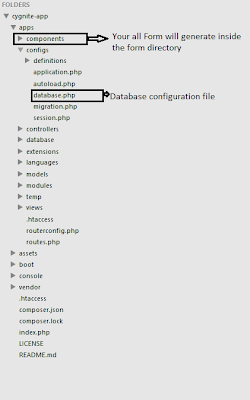 Step 7: Create a file database.php paste below code into it. This class act as wrapper class to manipulate database operation. Hope you found this article helpful. Don't forget to like, share with friends, or leave your comments below. Keep visiting for latest posts. Have a nice day. 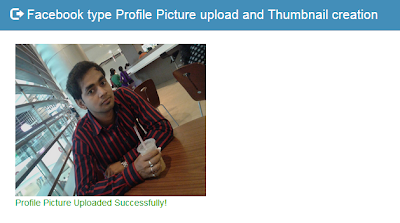 My last article was “How to build Facebook style profile photo upload using PHP + JQuery + Ajax Part1”. . This is continuation of my last article, last tutorial I show you how to upload profile picture using jquery, ajax, in this tutorial I will show you how to create thumbnail to fit the profile picture and saving into database. To achieve this I am using Cygnite PHP framework, if you had built application already, would like to use tiny component rather than using entire framework, you can use standalone Cygnite File component for image uploading and creating thumbnail image. In previous tutorial we already created controller, view and js files. Open apps/controllers/ProfileController.php, import namespace to include thumbnail component, and add below code after uploading the file upload success to generate thumbnail image. I am adding piece of code to upload, creating thumbnail image and saving into database below, you can update below code into our ProfileController.php uploadAction() as discussed in the part1 tutorial. We are storing the thumbnail image into /cygnite/upload/thumbnail/ directory and saving into table 'profile'. If you are building session based application. You can simply check user session id to identify user profile image and display it. If you are using standalone file thumbnail component to create thumbnail image (Discussed in previous post) than install file component from composer repository and below code to resize. Hope you found this article helpful. If you are interested to write tutorial for us please post me. Please don’t forget to like, share with friends, or leave your comments below. Keep visiting for upcoming article. Have a nice day. Hello guys, my last article was about "How to install and configure Cygnite PHP Framework using Composer". Today I would like to share a tutorial which will help you day to day activity, also boost up your development. Generating CRUD application is day to day task for almost every developer. Why to spend numerous times on writing CRUD when it is just a 2 minute job to boost up your productivity. Generate you all necessary code for your project as like – INSERT, UPDATE, DELETE, Pagination, Sorting and Field Validation with bootstrap theme etc within just 2 minute. Cygnite PHP Framework makes your job easier with fun at working. Learning new framework is fun and gives you learning curve. So let me show you how you can generate all above functionalities with in just 2 minute. Cygnite CRUD is fully model based. So have your table ready against which you would like to generate CRUD. Or you can use Cygnite Migration to create table schema. Migration is the best practice to build schema but let me not go into Migration in this tutorial. I will explain Migration and seeding another post. Okay cool! Now we are inside cygnite/console/bin then run below command to generate your CRUD application. Let us assume we are generating crud for table called “user_info”, database name "directory" and we want the controller name as “User”. So our command should be as follows. The above command will generate you CRUD application as Controller, Model, Views, Form Component etc. You can find the files corresponding directories as below. You can alter any code to make it fit for your project. That’s all! You are ready to see your application. Go to your browser and type http://localhost/cygnite/user/ you will find your application. The complete code generation even takes less time if you have configured everything and simply to run crud command. Hope you found this article useful and make your life easier. Please post me if you have any queries. If you find above tutorial helpful, please don't forget to give a small like or share with friends, also leave your comments below. I really appreciate feedback regarding this CRUD generator from my readers. Keep visiting for upcoming articles. Cheers! Have a nice day. 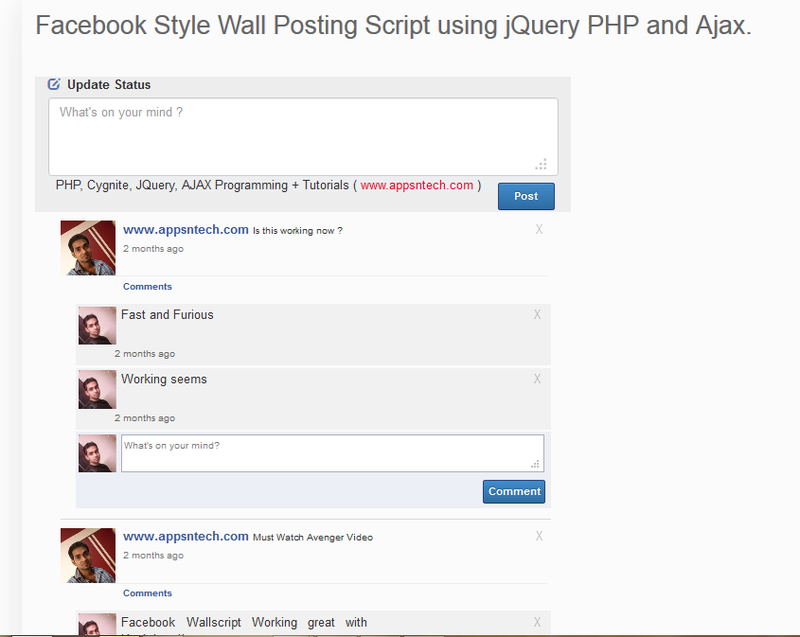 Hello guys, my last article was about "Facebook style wall posting using Cygnite PHP Framework, JQuery, Ajax" . Today I would like to share with you guys "How to install and Configure Cygnite PHP Framework using Composer". Composer is the awesome tool to manage your dependencies. Learning new framework is always adventurous and gives you a big learning curve. Before going into the installation you should have composer installed in your local system. There is a beautiful documentation of Installation. After downloading and installing composer we are ready to setup Cygnite into our local machine and configure database etc. to get started with our next project. You can watch the video embedded below. Hope you found this article useful. Please don’t forget to give a small like or share with friends, also leave your comments below. Hi guys, my last article was about "Building RESTful Web Service using Cygnite PHP Framework, MySQL" . Today I would like to write about “Reading csv file using php”. This article may be useful for beginners or if you are willing to write flexible CSVReader library. Let me show you how you can read and return simple array as Column and value pair using simple line of code. Create a file call CsvReader.php and paste below code. Now include the library file and call the function. Find the demo CSV file here. Let us consider our table is “CountryInfo” and table has columns as follows. Now we can loop throw the array and insert values into the database. Paste below code to prepare all queries together and execute it. $data = " VALUES ( '".$value['Sort_Order']. "', '". As the "Best Coding Practice" you can see we are not doing any database operation inside the loop, building the query and finally executing as single query. By doing this you are not running n number of queries instead single optimised query to save all. Let us now connect with the database and import csv content into database. Hope enjoyed the post and you can build modular library on the top of this small step by step article. If you find above tutorial helpful, please don’t forget to give a small like or share with friends, also leave your comments below. Have a nice day. Keep visiting for interesting articles. Hi guys, my last article I wrote about “Getting started with MySql event scheduler” .Now days most of the applications building in mind that we can also access data using cross device like mobile, web application. Shortly Web services are talking over the application world. So far I have developed many web service api which is interacting with mobile, tablet device to access data from the server. Today let me explain how to build a better REST api using Cygnite PHP Framework. Building REST web service is very easy and also you can use the power of mvc architecture of Cygnite Framework to build powerful RESTApi services. Install Composer into your system. Composer installation is the recommended way to install Cygnite PHP Framework or you may manually download it from git hub repo . Cygnite has beautiful documentation will lead you to quick start. Make sure you have composer install in your system. Let us configure the database connections before stepping into web service. We are done with database settings; let us move to routing to response to web service request. Cygnite has powerful routing to respond to your REST service calls. 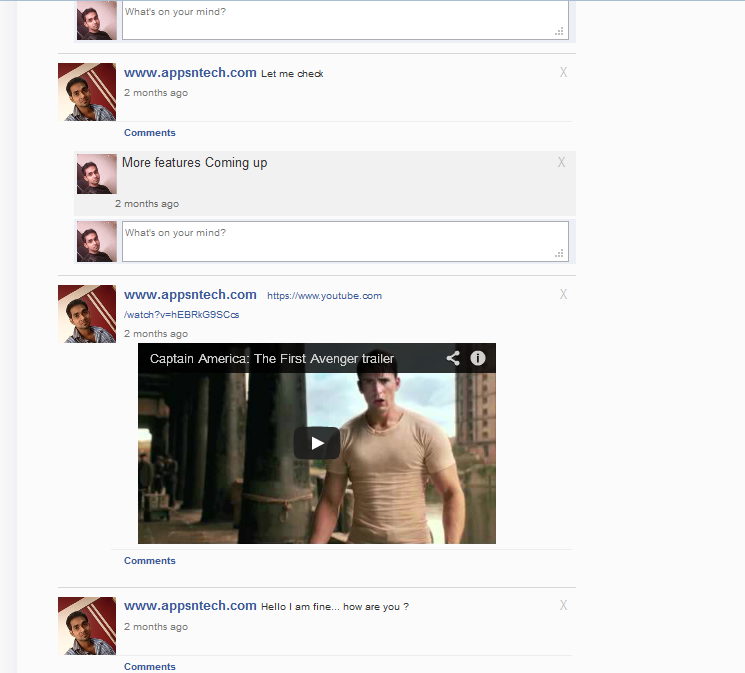 Even you can make use of full featured MVC to respond to your request. In this article I will show you how to respond to your HTTP get method calls and return users as json array. Open apps/routes.php and paste below code to get the list of users from the database. Create a controller called WebserviceController.php into apps/controllers directory and paste below code into your index method. It should be look like below. I have a table called user into the webservice_tutorial database. So let us create the model called User and paste below code. Remember your table name model name should be same. For more info you may have a look at the documentation. That’s all. We are done. Just go to your rest client in and type the post url to get the result. You can see screenshot below we got the list of users from the database. Similar way you can respond to POST, PUT, GET, DELETE, etc. Hope this article useful. If so please don’t forget to give a like or share with friends, also leave your comments below. Have a nice day. Keep visiting for upcoming posts. 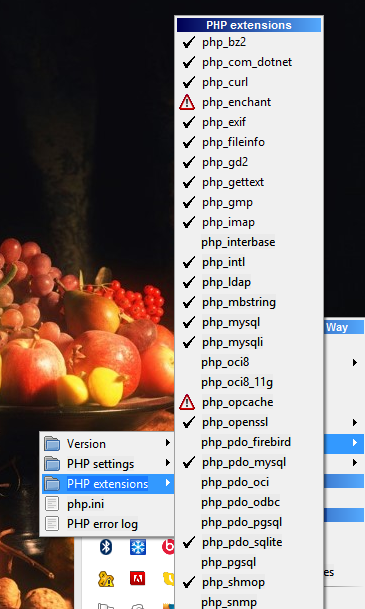 Hi guys, my last article was about “Getting started with PHP dependency manager Composer”. Today I would like to introduce you with another best tool to generate forms, Cygnite Form generator. Writing html form is old fashion, now days most of the passionate developers does same thing object oriented way. Cygnite Framework CLI gives you breeze and make your development amusing. In some case you may don’t want to generate entire crud operation which Cygnite does cool way. You are looking for Form generator? Cygnite CLI is the great tool to cater your development time, generate you form based on your database table with single line of console command. Sounds interesting? Yes. Let me show you how to get started with forms, before that you need to know folder structure, database configuration etc. with some simple steps. 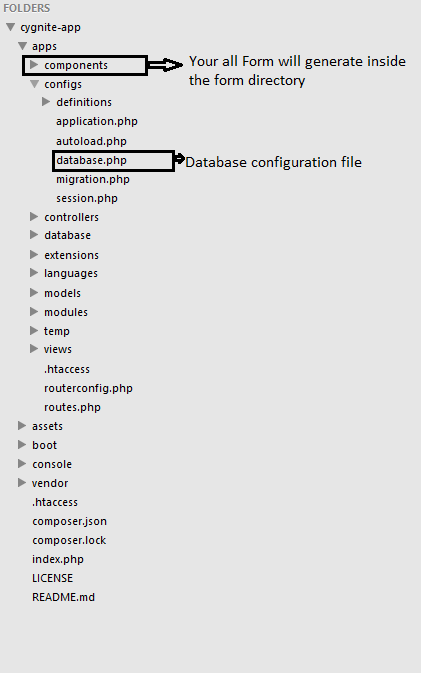 Open database.php file and provide your database configuration as below. This is one time configuration. You are ready to generate your awesome forms. Remember all your forms will be generating based on your table exists into your database. We are ready. Open your console window, Command prompt if you are using Windows and terminal if you are using Ubuntu or linux. Changing directory. Go to your Cygnite root directory as below. I have installed Cygnite into cygnite-app. Now let us generate form against registration table. Run below command and press enter. You can find your form class inside your form component directory. You can see /cygnite-app/apps/components/form/RegistrationForm.php generated. You can generate and access your form as below. echo $form->buildForm()->render(); // render your registration form. Isn’t simple? You may alter the form based on your need. You may have a look at the documentation if you need further detail information about Cygnite Form Builder to alter form elements. Hope it is useful, once you are ready with database; you are ready to generate n number of forms. Cygnite Framework is under active development and your suggestions and feedback will help us to fulfill all your needs. 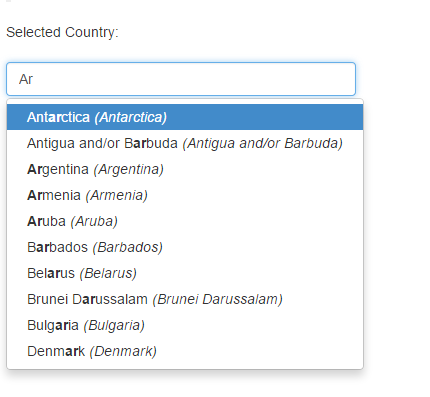 Hi Guys, my last article was about “Creating custom Jquery Plugin”. Today I would like to introduce you with another best project in PHP world, Composer. Today’s PHP is not like grandfather PHP, it is completely different, much more matured, elegant and ready for enterprise development. So the question is why Composer? How to manage package with composer? Yes, composer is the great tool to manage your project dependencies, keep you updated with the dependencies. It get you the package needed for your current version and also download, manage if that package use other packages. Most of the modern frameworks are Composer powered, few examples – Cygnite PHP Framework , Zend , Symfony etc. So you are having freedom to use any third party library into your framework. The main feature is package can be written such a way that can be usable or pluggable into any other application supported by composer. Though there is a beautiful documentation in the composer website , if you are looking for short installation and usage tutorial you can start looking at steps below. Above command will download composer.phar into your current location. To make composer globally accessible. This command will help you to move composer.phar into bin directory and giving you access to all composer commands with much shorter syntax. If you are Windows user you may download and run composer.exe. If you aware about the ruby (gem) or node.js (package.json) then composer.json may be familiar to you. It mostly inspired by ruby bundler and package.json. Composer uses json file to provide settings and package information for your awesome application. Create a file into your root directory called composer.json and paste the below lines. Above example is for basic composer settings. The require keyword used for providing list of dependencies of your project. You can see in this example dependency is Cygnite Framework version 1. Cygnite Framework dependent on very few packages composer will install those automatically when you run below command into command line interface in the directory where your composer.json file exits. You can see composer is downloading Cygnite Framework and its dependencies one by one. Interesting right! You can also see composer.lock file into your directory which is used to track all version of packages currently installed. If you change anything in composer.json file you may run below command to keep you up to date. You can simply use autoload.php into your project and start using the package. Step2 we have installed all packages using composer, now let me show you how you can make use of those composer packages into your project. Create a index.php file and paste below code and make sure assets exists into your application directory. Sample usage below. You would have heard about the composer but haven’t had time to check. So I hope you have learned something today. Composer is very useful Dependency Management tool in PHP world. If I missed anything above you may also have a look at Composer official documentation. If you find above tutorial helpful, don’t forget to give a small like or share with friends and also leave your comments below. Keep visiting. My last article was about “How to auto reload page content using Jquery, Ajax and PHP”. Today I will show you how to create your own custom plugin using Jquery. Many times we simply code according to current need on the project and may be same repetitive code in the next project. Why to code multiple times? If you feel some functionality can be used in future task as well then instead just fulfilling current project needs, you can create a plugin which can be used anywhere in any project. What if we code once and use it all over where ever it is applicable? Sound interesting! yes. You are able to save your time by this way. If you are still wondering how to create Jquery plugin then here is the simple steps by which you can get some idea to create your own custom plugin and how to bind data into the div using Jquery. Step1: Create a file called index.html and inside your html body paste the below code. Step2: Create a file called custom-plugin.js and paste the below code. Step3: Run the index.html page into browser and keep typing text into the text box you can see same value displaying below div. You can change the color, font, id etc. according to your needs. You may make use of this simple plugin app and build your own jquery plugin also lot of other functionality can be added into the same. Hope this small article helpful to you. If so don’t forget to like, share or leave your comments below. Keep visiting. My previous article was about “Dependency Injection in PHP”. Today I would like to write about using MongoDB with PHP. This simple tutorial will help you how to start with popular NoSql database MongoDB and php. MongoDB it stores data as structured json format, which improves application performance and allowing you to write scalable application. Before diving into creating application using PHP and MongoDB let us see install MongoDb in your system. MongoDB runs on most of the platforms. I have provided few step below “how to install MongoDB in Ubuntu (Linux) system”. Now update your local package database by executing below command and install latest stable version of MongoDB. Unzip the archive and put php_mongo.dll inside your php extension directory and add below line to your php.ini file. Restart your apache server. That’s it! So we are done with the installation of MongoDB. Let us follow following steps to connect with mongo and do simple crud operations. Connecting MongoDb is very easy and very similar with any other database abstraction class (PDO, Mysqli). By default MongoDb connect with the port 28017. You may access server info by simply entering. MongoDB default database is “test”. You can create your own database as below. Find all document from your collections and iterate data to display title. Update document with simple update or save method. Deleting document is as simple as other methods explained above. You can simple delete record from collections with remove method using the key. So finally in this short article we have covered basic CRUD operation using PHP and MongoDB. You can explore much more to build large application. Hope this article helpful to you, if so please don’t forget to leave your comments, share and give a small like. Keep visiting for latest post.